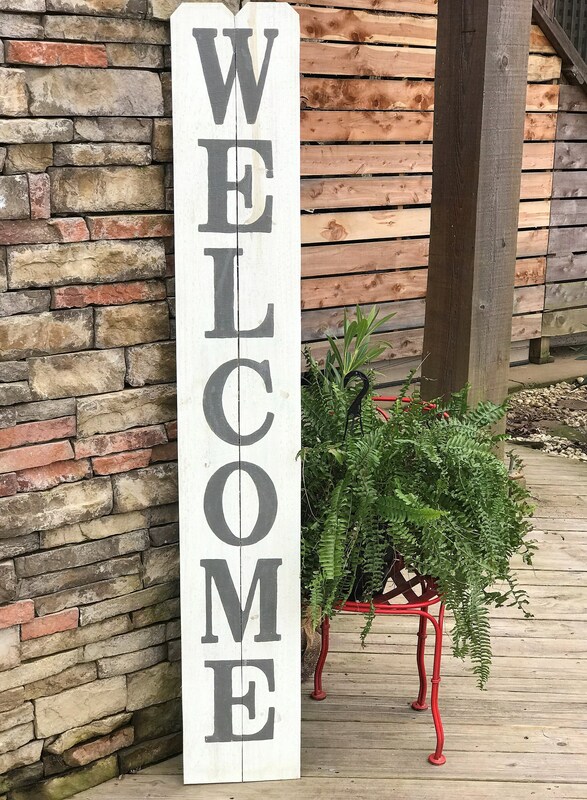 - This particular sign is white washed and allows the natural pigments and grain of the wood to show through while adding a touch of color. The lettering is painted charcoal gray. My signs are always 100% hand painted and vinyl is never used. Not the colors you were wanting? Just contact me and let me know what you need! I ordered this item and got it within 3 days of ordering! I am super pleased with the quality of the sign as well as how timely it arrived. Also, I entered the wrong address and the seller easily corrected it for me. I will definitely purchase more from this seller again!